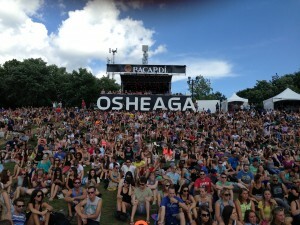 This year marks the ninth edition the Osheaga music festival in Montreal. This three-day event draws approximately 120,000 spectators to Parc Jean-Drapeau on Ile St. Helene. 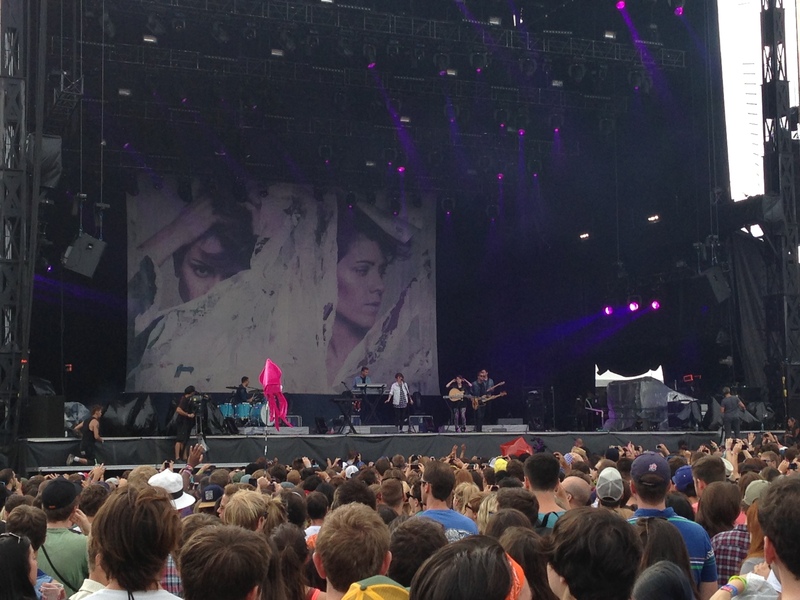 Concertgoers from all over North America are drawn to Montreal for the festival that takes place from August 1st to 3rd this year. Promoters have booked some big acts that will play across 6 stages to follow up on an outstanding line up from last year. Last year’s edition of Osheaga will go down as one of the best lineups ever put together for a concert festival. Up and coming acts such as Capital Cities, Grouplove, and Alt-J we mixed between solid one album bands such as the Lumineers and headliners like the Cure, Beck, and Mumford and Sons. This proves to be a tough act to follow and promoters of this year’s show have done a good job of putting together variety of bands that are drawing music fans to Montreal in droves. 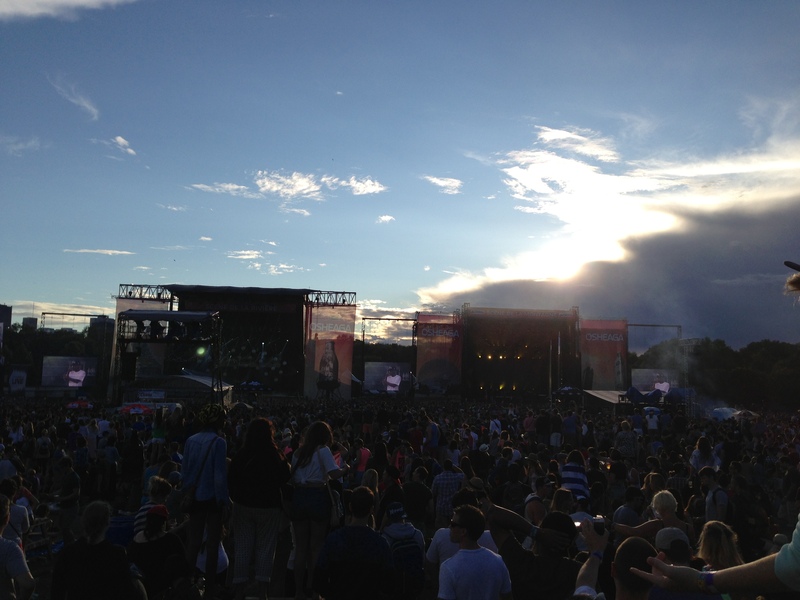 Outcast, Jack White, and the Arctic Monkeys will headline the main stage from Friday to Sunday respectively. Fans are also excited to see the groups leading up to the headliners such as Skrillex, Nick Cave and the Bad Seeds, and Lorde. Lorde is coming fresh off a recent cameo appearance at the rock and roll hall of fame where she covered Nirvana’s ‘All Apologies’ in honour of their induction. The addition of a 6th stage to this year’s show will provide fans even more choice, or more indecision, regarding which bands they want to watch. As always, multiple acts are playing simultaneously on different stages so it may come down to a coin flip (or shorter beer lines) for which stage to choose. 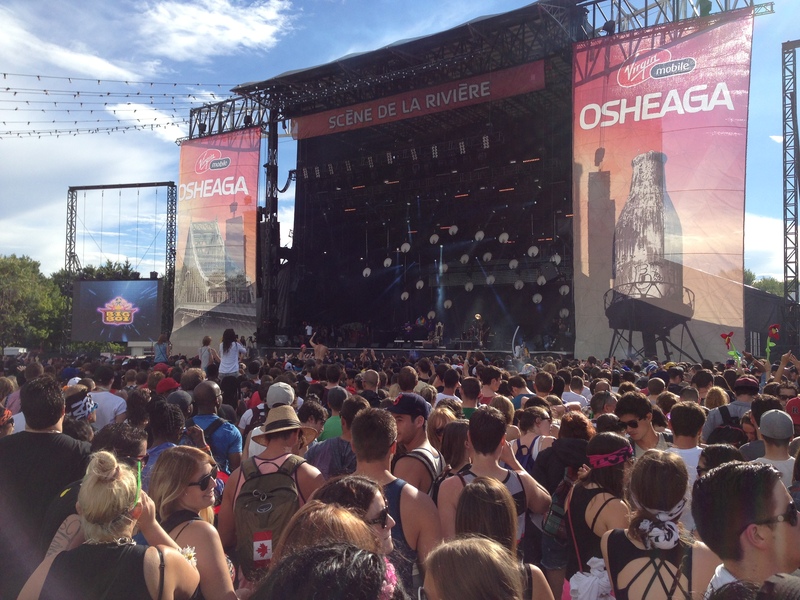 The bigger name bands predominantly play on the two main stages, de la Montagne and de la Riviere, which are located side by side. The shows run very smoothly with only seconds of transition time from one band to the next. During the day bands are allotted incremental time slots of 30, 40, 45, and 50 minutes and are not permitted encores. As the day rolls on the time slots are extended for the bigger name bands. For those that need a break from real instruments or feel the need to dance, the Piknic Electronik area of the park provides non-stop dance music throughout the day. Currently the general admission tickets for Sunday and the 3-day pass are sold out. Single day general admission tickets are still available for the Friday and Saturday shows at a cost of around $100 with fees and taxes. With the lineup of outstanding headliners mentioned above in addition to bands such as Foster the People, Old Crow Medicine Show, Serena Ryder, Modest Mouse, Against Me! Ingrid Michaelson, the Kooks, Chvrches, Lykke Li, and local favourite Sam Roberts, there is plenty of reason to make the trip up to Montreal and head to the island for this great festival.